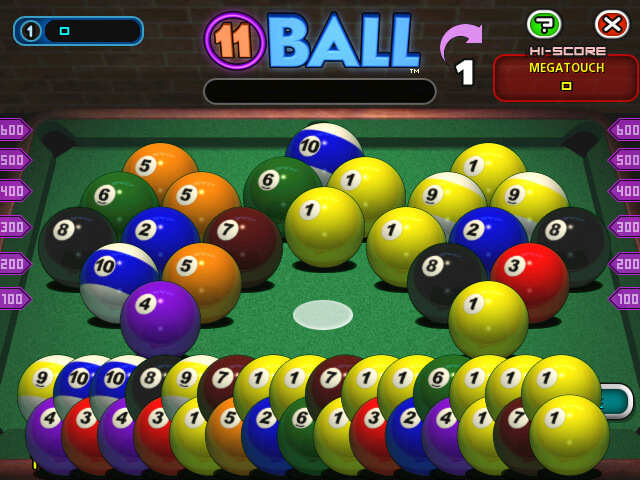 In this strategic counting game, players must clear the table by removing balls in groups totaling 11. Select next ball if no 11 is possible. The passed ball will move to an open playfield space and subtract points. Clear entire playfield for bonus points or touch “Take Score” if no further 11s are possible.